A full range of Katrin hand drying roll tissue qualities available. Fast and easy to use; sheet always available. High capacity - 800 sheets to a roll is enough to dry hands 400-530 times - ideal in high traffic areas. Feeds the next sheet automatically. Designed to ensure all the paper on the roll is used. Very low power consumption -Powered by 4 x LR20 1.5 V batteries (not supplied). 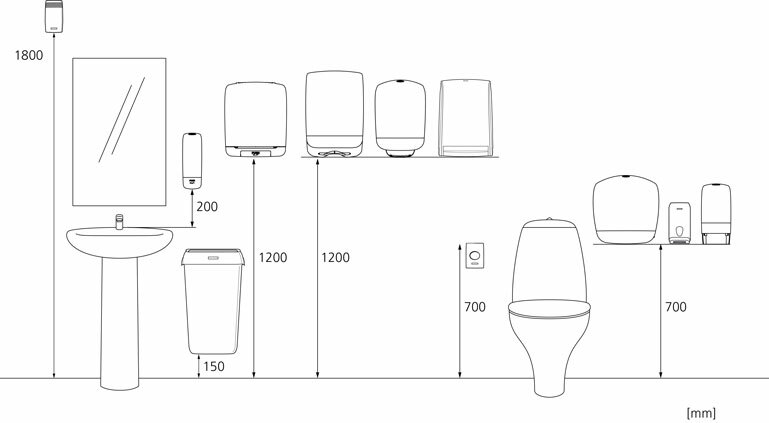 Controlled consumption for high traffic washrooms. Main raw materials of major plastic parts: ABS (Acrylonitrile butadiene styrene), PC (polycarbonate).